Ahoy, here's some social media updates. I don't think I ever shared the fact that I'm on Fashiolista. I'm seriously in love with this site, you just click away at things you like, and go back to your profile and just stare at how pretty everything is. My username is TheWorldLooksRed. Yesterday I also joined Pinterest, which I'm thoroughly enjoying. Let me know if you guys are on Pinterest or Fashiolista. I'd love to see your profiles! You will LOVE Pinterest. It is seriously addicting, a great place for inspiration, to collect ideas. It's a pretty great platform! cool! i do not have accounts on either, but maybe i should get them. is pinterest really that different than tumblr? i thought they were sort of similar which is why i never got a pinterest. never heard of fashiolista, but about to go check it out. in any case, love the every piece of clothing in that screenshot! 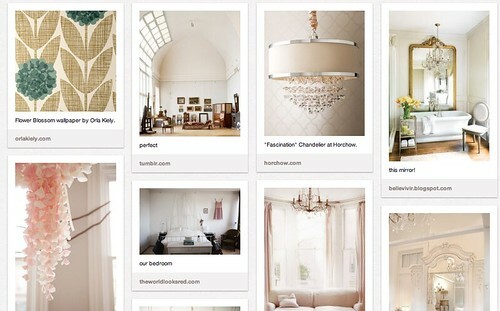 I am an almost fanatical follower of Pinterest! Welcome to Pinterest; I especially love your Pretty Things board... lekker! I love that I can organize little clips in such a simple, quick way. Oh dear I'm on pinspire.. it's simillar (some may say stolen from..) with pinterest. Heel tof! Ik heb nu ook sinds kort pinterest en ik houuuuu er van. Beetje verslaving, maar het cleared je brain echt in de fashion mess. Ik heb ze helaas allebei nog niet. Heb me wel voor pinterest opgegeven. Fashiolista ziet er trouwens ook leuk uit! Ik ben benieuwd. Je collage's zien er in ieder geval jaloersmakend uit!